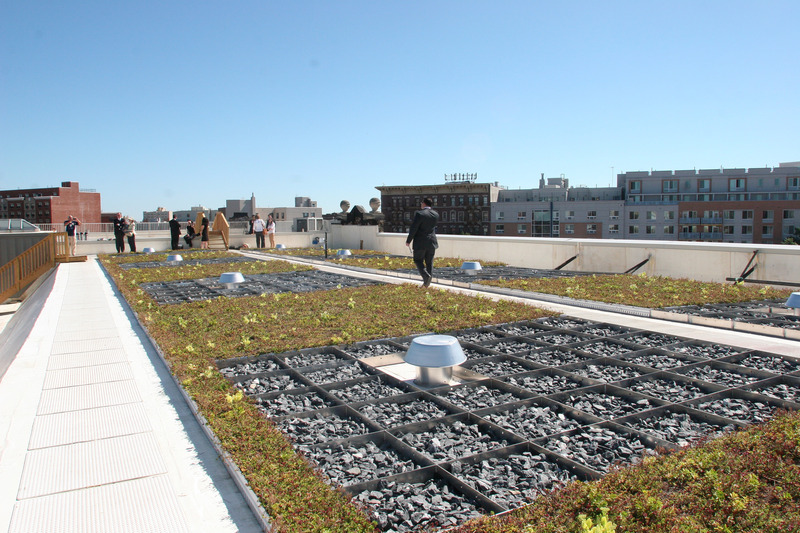 The New York City Department of Environmental Protection (DEP) is partnering with the Natural Resources Defense Council (NRDC) to expand the city’s already extensive Green Infrastructure Program. The City is working under a Clean Water Act consent order to manage the first inch of rainwater on 10 percent of the city’s impervious surfaces by 2030. In order to meet those goals, the DEP is realizing the importance of broadening their scope and finding opportunities on both private and public land. Stormwater management is key to maintaining the health of New York’s waterways, as heavy rains can overburden city sewers and lead to overflows that pollute the city’s canals and rivers. Eliminating overflows is a key step in maintaining the stipulations of the Clean Water Act, which was introduced in 1972 to curb pollution. 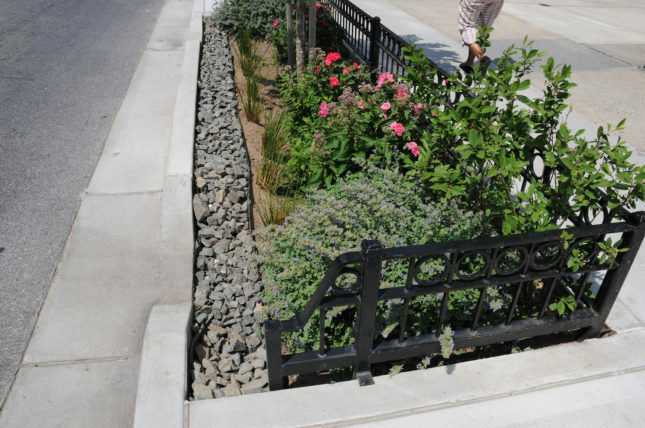 The program has already been responsible for the installation of more than 1,000 curbside rain gardens (also known as bioswales) throughout Brooklyn and Queens, which have helped to reduce sewage overflows into Newtown Creek and the Gowanus Canal.On public property the benefits of green infrastructure is obvious. 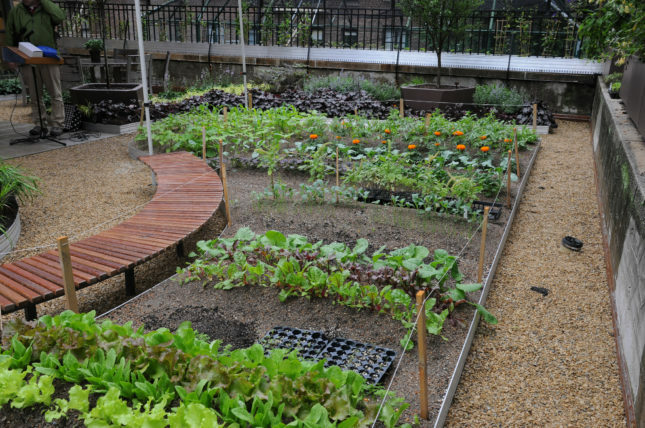 In addition to reducing flooding and sewer overflows, the installation of rain gardens and green roofs improves air quality for residents and beautifies streetscapes. Now, they’re setting their sights on private property in order to manage rainfall that lands places other than city streets. The NRDC has also worked with the cities of Seattle and Philadelphia on green infrastructure programs for managing stormwater. In the case of Philadelphia, the city builds the cost of treating stormwater into residents’ water bill based on the amount of impervious surfaces on the property. In this way, porous pavements and rain gardens provide an immediate economic benefit in the form of a greatly reduced fee. 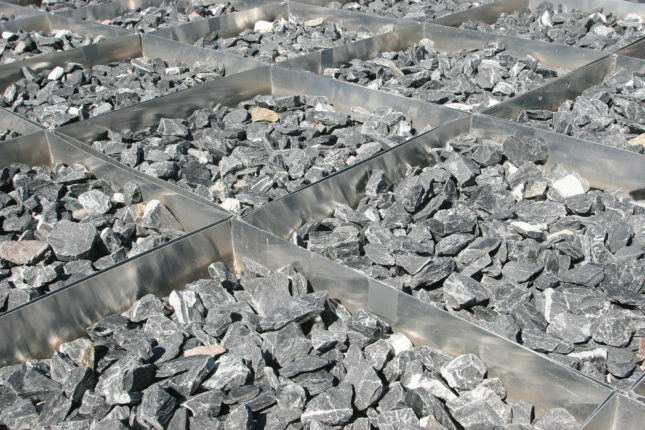 Collected stormwater can be used for green facades and urban farming, providing an additional benefit to reducing stress on water treatment systems. As technology improves and cities like New York establish a market for green infrastructure on private property, initiatives like this will likely continue to evolve and grow with benefit to both residents and the environment.